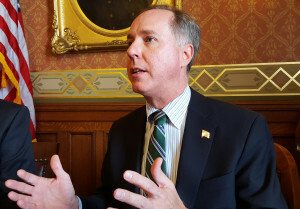 Assembly Speaker Robin Vos says his members will take some time to review a budget plan offered by Senate Republicans this week. Vos said the Assembly GOP will continue to “digest” the plan and see if the two chambers can come together. The Senate plan released Tuesday continues to rely on borrowing to pay for transportation – an approach Assembly Republicans have opposed for much of the budget process. While he said their position has not changed, Vos said they still want to respect the work done by the Senate and spend time reviewing the proposal. The state’s fiscal year ended on June 30, while the Legislature’s Joint Finance Committee has not met for the past month.